Validation program for pharmaceutical helps to execute the validation properly and validation team can understand the process well to implement it. Establishing documented evidence that provides a high degree of assurance that a process, system, equipment or assay will consistently produce the desired results according to predetermined specifications and quality attributes. The documented action of showing that any equipment works correctly and consistently leads to the expected results. The relationship between “Validation” and “Qualification” is shown in the figure below. The ultimate responsibility for ensuring validation is performed lies with the Head of Quality Assurance. This functional group has been organized to oversee all aspects of validation as they relate to the implementation of relevant projects and their potential impact on product quality and GMP/GLP. Quality Assurance is structured such that it ensures that validation procedures function in accordance with reference to this policy. The Quality Assurance Department is responsible for the activities related to providing control, planning and compliance with Company standards for validation. The scope of responsibility of the Quality Assurance Department includes all facilities, processes, equipment/systems and automated equipment used for Good Manufacturing Practice (GMP) and Good Laboratory Practice (GLP) critical processes or which have GMP/GLP implications. 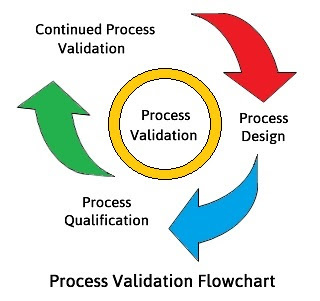 The definition of the validation process by producing validation plans, protocols and reports to FDA, MCA, WHO and different regulatory requirements. Ensuring that all facilities, processes, equipment/systems and automated equipment used for GMP/GLP critical purposes are validated and remain in a validated state. Maintenance of a register of all facilities, processes, equipment/systems and automated equipment in use for GMP/GLP critical activities. Ensuring that validation projects are performed and documented in accordance with this Policy and the relevant Company procedures. Ensuring that project teams are aware of validation requirements. Each project will have a Quality Assurance representative assigned to it. Reviewing validation plans, protocols and validation reports of relevant projects, for completeness and adherence to good practice and Company procedures. To be aware of forthcoming validation projects with the aim of highlighting the need for validation resources in a timely fashion. Training of personnel across the Company in the validation process. Ensuring compliance with standards issued in the Drugs and Cosmetic Act. The authority of the Quality Assurance Department to carry out the identified responsibilities is guaranteed by this Validation Policy. The validation of GMP/GLP and business critical facilities, processes, equipment/systems and automated equipment, is also the direct responsibility of the department or function concerned. Validation is a team effort with appropriate participation from the following departments: Validation; Production; Engineering; Quality Assurance; Quality Control; Research and Purchasing. For this purpose Steering groups will be formed which will be highly experienced, will prepare the Validation Master Plan, judge each case on its own merits and approve the protocols. Then there will be Validation Working Groups/Teams which will prepare justification before work begins, prepare protocols, estimate costs, carry out validation studies and write reports. Validation teams will generally be representatives of Research and Development. Other departments may be invited to participate, as necessary. The essential elements of a validation system primarily consist of Equipment Qualification (Installation, Operational and Performance Qualifications. Calibration and Maintenance) and Process Validation. These are described below. However, it is recognized that there may be different approaches to validation, which will also satisfy these elements. Every project will require the definition of the specific approach to be taken in a project Validation Master Plan. The URS describes what the equipment or system is supposed to do, and as such is normally written by the main user. This links to the Performance Qualification which tests these User Requirements and as such the URS forms the first vital stage in the Validation cycle. Each user requirement specification must be assigned a unique reference number for the project concerned and will be subject to the standard change control procedures. Generally, this number will be related to a validation project number assigned by the Quality Assurance Department - Validation Section. The first risk assessment to the facility/system or equipment will be made at the time of finalization of URS. A documented review of equipment/system specifications and features to ensure that the equipment/system is consistent with intended production or Quality Control use. This requires the generation of a formal statement of the User Department’s requirements and intended uses of the equipment/system. This may also include the performance of a Vendor Assessment, the purpose of which will be to assess that the Vendor will use or has used an organized methodology to manufacture and assure the quality of the equipment or system to be supplied (i.e. an audit of the Quality Management System). Maybe included in the validation programme. Factory Acceptance Tests (FAT) can typically include a mixture of OQ and IQ tests which are instigated by the supplier usually in the suppliers' environment. These should be witnessed by the customer or a representative of the customer. SAT is testing which takes place in the operational area to ensure that the product supplied is installed, functions as expected and meets the user's requirements. Site Acceptance Tests (SAT) is the responsibility of the customer and will typically include IQ, OQ and PQ testing. This is the establishment of documented evidence that the equipment or system is constructed according to the specified design and is installed according to the manufacturer's instructions and Engineering requirements. Installation Qualification verifies static attributes of equipment/systems such as: Material of construction and finish; Drawings of record; Utility connections and a Statement of suitability to function. This is to be performed prior to or in conjunction with Operational Qualification. It must be completed prior to production use (i.e. development or process validation). This is the establishment of documented evidence that the equipment or system performs as intended when compared to a predetermined set of operating limits and tolerances, such as Temperature and Pressure Limits; Direction of Rotation/Flow; Equipment Speeds; Alarms; etc. Operational Qualification is to be performed after or in conjunction with Installation Qualification. It must be completed prior to production use (i.e. development or process validation). 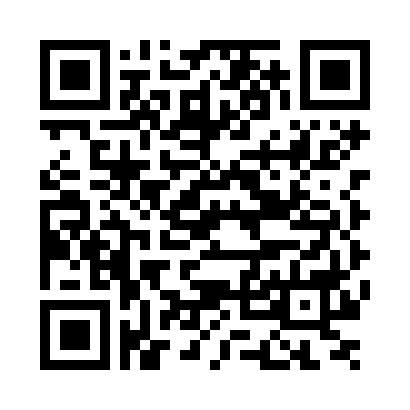 This is the establishment of documented evidence that a piece of equipment or system performs its intended use and specified function in a reliable, reproducible manner. This typically involves testing physical, chemical or microbial properties representing the optimum setpoints to be used in manufacturing by the equipment or system. This is to be performed after Operational Qualification, although it may be performed in conjunction with Development or Process Validation batches. Equipment calibration should be performed or confirmed prior to, or in conjunction with, Operational Qualification. There should be a system in place to ensure periodic verification of equipment calibration. A programme should be in place to ensure equipment is maintained in proper working condition. This is the stage in a product’s life cycle in which the concepts developed by Research are translated into a methodology for producing a safe, consistent and effective product. Typically processes are scaled-up from laboratory scale to an intermediate pilot scale as close to an engineering scale-down version of production size equipment as feasible. Key operating parameters are optimized and acceptable tolerances are determined. Preliminary equipment cleaning regimens are determined. A written report (Process Development Report or Technology Transfer Report) summarises the conclusions of the experiments and is approved prior to Process Validation by the key scientific and development personnel. The methodology is then scaled-up to the final production scale equipment and the final parameters determined for routine production. This may be performed in conjunction with equipment Performance Qualification if appropriate. “Establishing documented evidence which provides a high degree of assurance that a specific process will consistently produce a product meeting its predetermined specifications and quality attributes.” There are two approaches that may be adopted. This is validation conducted prior to the distribution of either a new product or product made following a major revision to the manufacturing process. Prospective validation must be conducted according to an approved protocol which specifies the procedures and tests to be conducted and the data to be collected as well as the acceptance criteria to be applied. Upon completion of the required number of batches (typically three), a validation report is issued which is a summary of the study conducted, presentation of the data generated (the use of statistical analysis is encouraged, where appropriate), a statement of conformance to acceptance criteria and a conclusion. All deviations from the Validation Master Plan, protocol or established manufacturing procedure are investigated and justified. Validation reports and data will be reviewed for accuracy and approved by all participating departments prior to the release of the product to distribution. This is validation conducted on a process that has already been implemented. Under certain circumstances (i.e. as part of the change control procedure), validation of minor processing changes (equipment, scale-up, formulation) may be conducted concurrently in accordance with an approved protocol. The evaluation of the need for this type of validation and the levels of testing adopted will be defined and justified in the protocol. All validation data should be fully reviewed prior to the release of a product for distribution. This is establishing documented evidence that a cleaning procedure consistently results in equipment cleaned to a predetermined acceptable level. Cleaning validation should consider residual active substances, detergent residues, hard to clean excipients and areas of equipment which are known to be difficult to clean with respect to the potential risk of cross-contamination of other products. Cleaning validation must be conducted according to an approved protocol which specifies the procedures and tests to be conducted and the data to be collected as well as the acceptance criteria to be applied. The use of swab sampling is encouraged, wherever possible. Cleaning validation is also performed in accordance with an approved protocol and a final report is issued as described above in prospective process validation. All analyses performed for validation should be conducted in accordance with validated analytical methods. The general principle applied will be that the final validation of methods should be carried out in the Laboratory and by the personnel which will be routinely using them. There should be a system in place that requires the assessment of the need for, and scope of, revalidation, re-qualification or re-calibration of equipment and processes whenever changes are proposed or made which could impact on product quality or effectiveness.